Catch the fiery redhead Ingrid Michaelson for a live performance at the The wiltern. The talented singer songwriter deals in Pop-indie music some of which has been featured in the hit TV series The Vampire Diaries. 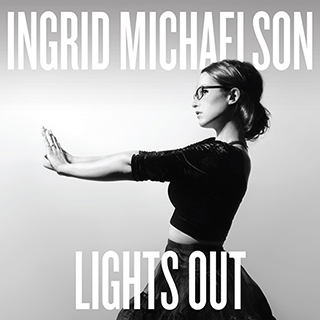 Her latest outing dubbed 'Lights Tour' will be in support of her latest album Lights Out. Tickets available now! New York based singer-songwriter Ingrid Michaelson has gathered a dedicated following due to her ability to craft beautiful, idiosyncratic songs "The Way I Am", "Maybe", "Keep Breathing". Heartfelt connection to audiences is inevitable when seeing her live. Her single, "Parachute", is a perfect example of that, showcasing a seamless stylistic growth in melody and beat, while nurturing the sound that Ingrid's fans have come to know and love. Ingrids growing popularity has seen her music feature on popular TV programs: Vampire Diraies, Scrubs, Body of Proof, Bones, Grey's Anatomy and One Tree Hill.